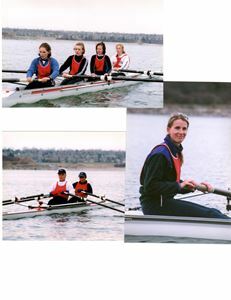 Coached by Chris Davidson this crew includes some familiar faces like Sarah Laing, Alexandra Marchuk, and Brittney Szwarc. 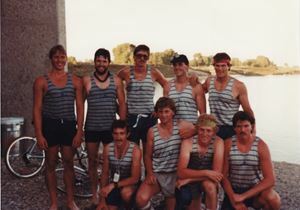 Can you spot them? 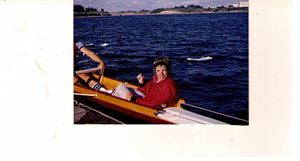 Just the sight of that boat is enough to make our boatman cringe. 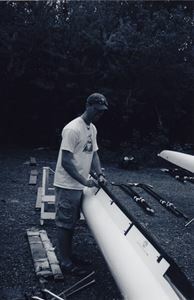 Longtime Club Manager Blair Rasmussen, always the height of fashion. 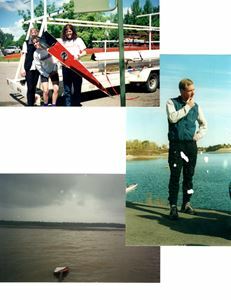 Res water dropped to low levels in 2002. 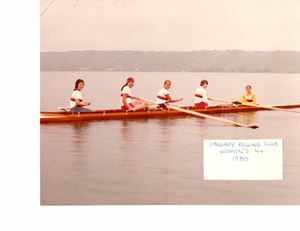 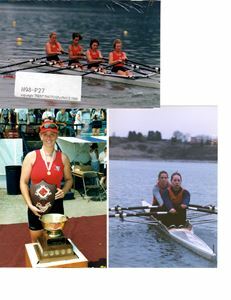 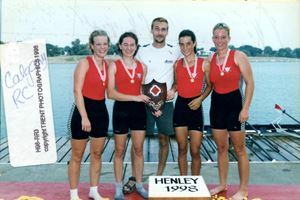 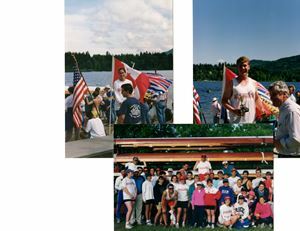 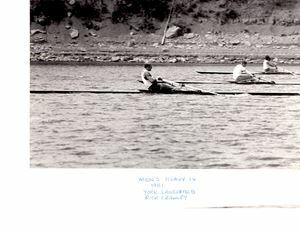 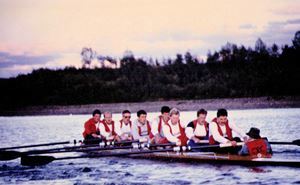 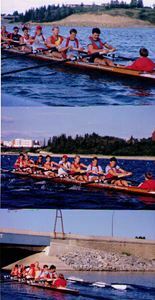 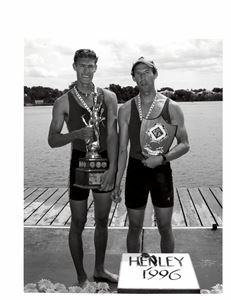 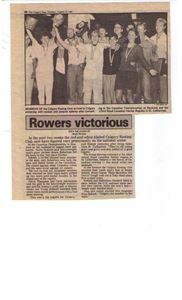 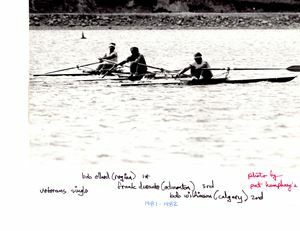 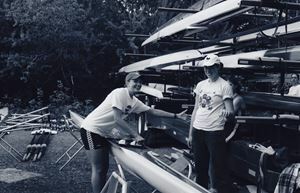 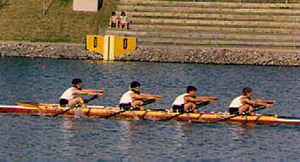 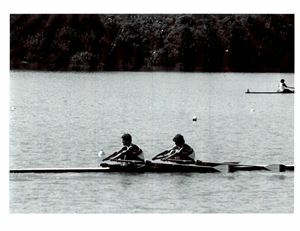 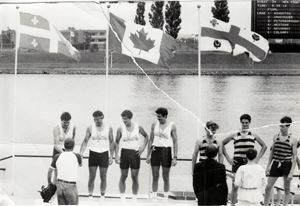 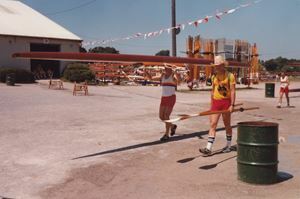 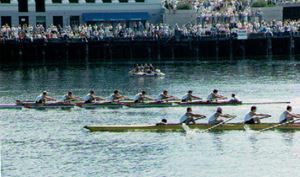 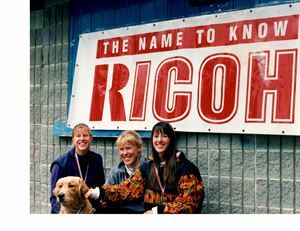 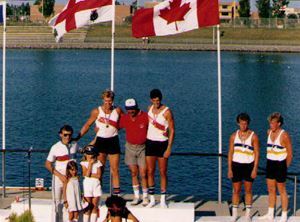 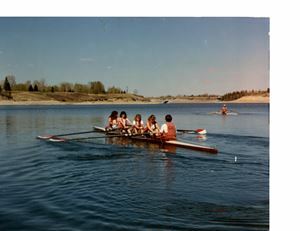 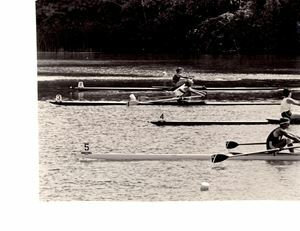 Winner of Jr W1X in 1999 was Erin Reardon ( she was bow of the winning quad that year too). 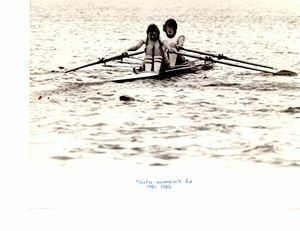 Stroke of the double is Cathy Murta. 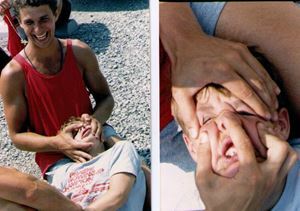 She was club manager for a few summers. 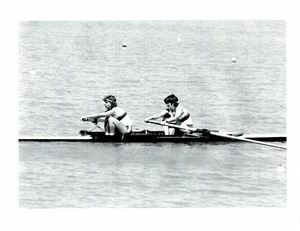 The Marlow boat, back in its prime! 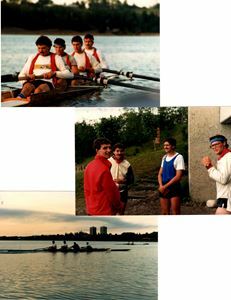 Daryl Gough, Cam Thompson, Brian Guran, Serge Zuliani - Montreal? 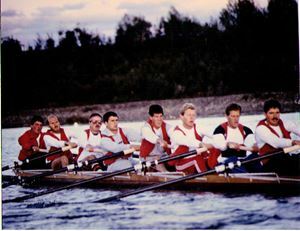 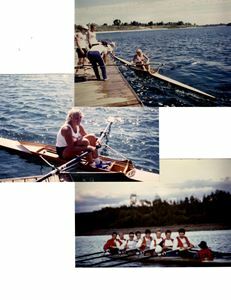 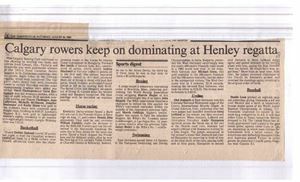 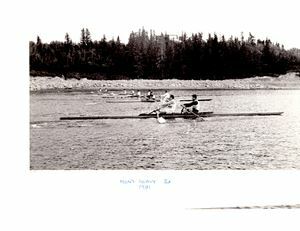 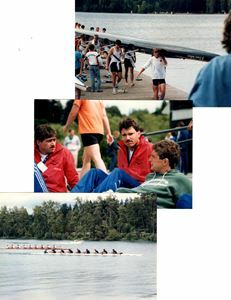 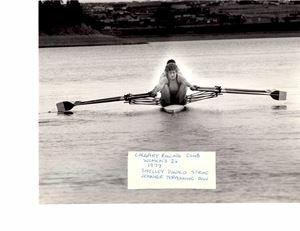 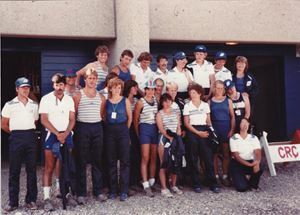 1981 - Rick Crawley - coaching UVic - 30 years later! 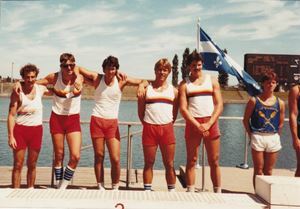 Blair Rasmussen, Steve Connolly - nice shorts Blair! 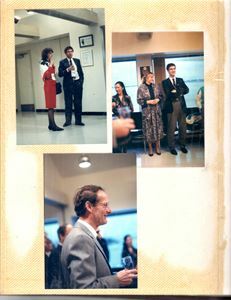 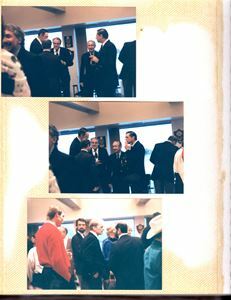 Carol Hermansen & Brian Guran (top right)- Both promised to wear the same thing to the Alumni Reunion! 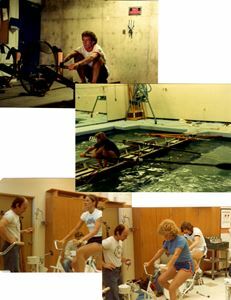 How cool is that picture in the middle? 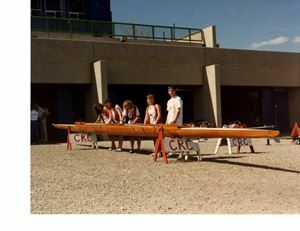 Look at the erg!And how about the old boat bay it's in! 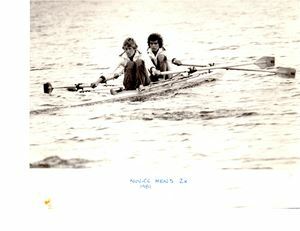 1985 or 2013? 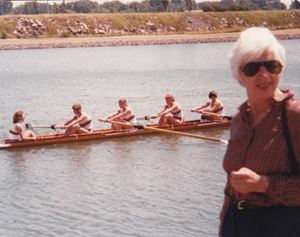 Either way, you still see Carol Hermansen out with a smile. 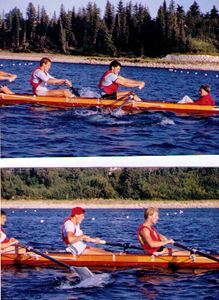 Full PFD's on the gentlemen! 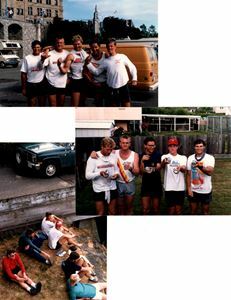 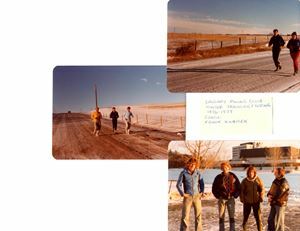 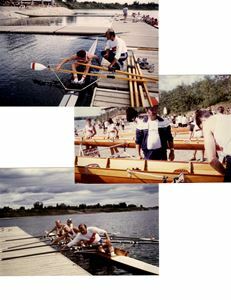 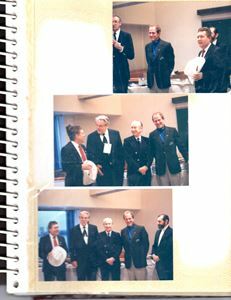 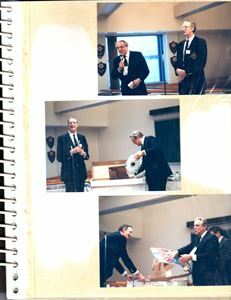 (Bottom L to R): Tom Matys, Martin, Mike, Frank Kubicek - in front of Mount Royal University. 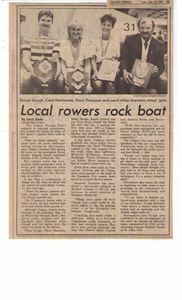 Thanks to Tom Matys for the information! 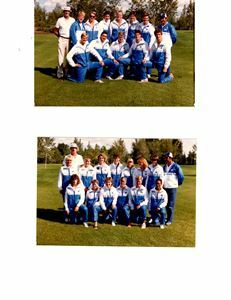 Big Thanks to Roberta Rodgers for her help with identifying many of the athletes in these pictures! 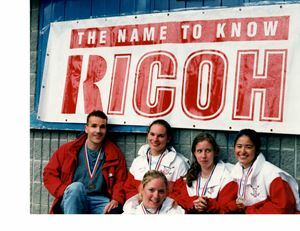 Wiebe Hos (married to Mike Simonson's sister), Amanda Roblin, Avril Johnson, and Amy Takeuchi. 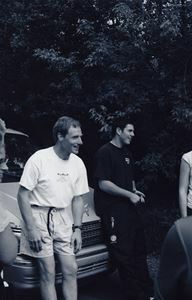 Below is Lindsay (Do you know her last name? 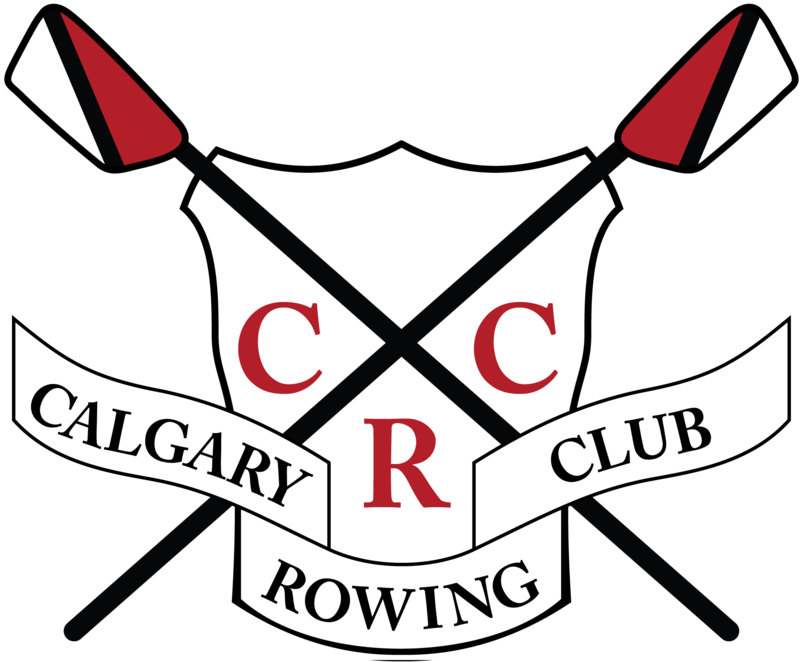 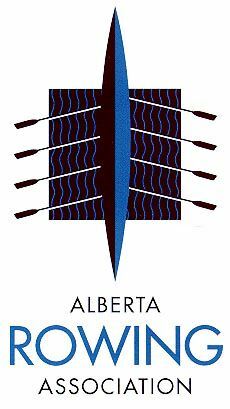 office@calgaryrowing.com).